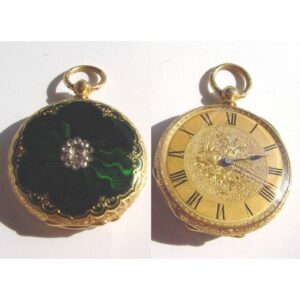 Pocket watch repair and restoration is an area in which we specialise. 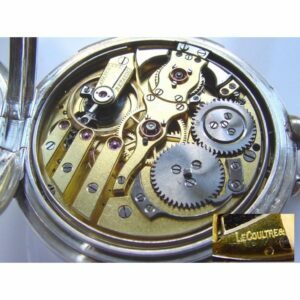 Our Master Watchmaker is able to work on any timepiece from simple pocket watch mechanisms, to verge, fusee and repeater movements. Repairing a pocket watch that could be 150 years old requires a vast amount of knowledge and expertise to ensure the integrity of the timepiece is retained. This may be through ensuring that the correct level of restoration is applied, and ensuring any replacement parts are put into the mechanism sensitively. In some cases, our Master Watchmaker may have to hand-make the required part. This requires exceptional skill. After the initial diagnosis to assess fully what is required to restore your pocket watch back to its former glory we will be able to fully discuss the current condition. 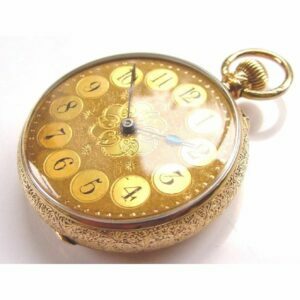 We usually find that the pocket watches have not been used for decades, and as you can imagine bringing any mechanism that has been dormant for this long requires a great deal of expertise. 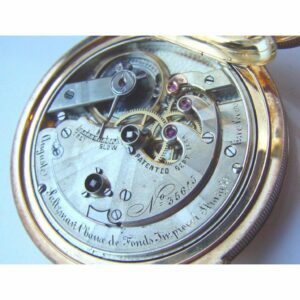 Therefore if a replacement part should be required, the level of tolerance available is very low and it is vital that the correct part is used- again only the most capable of watchmakers such as ours should attempt restoration work on vintage and antique pocket watches. If you would like to fill in the form above to request your FREE no obligation quotation for repair, we would be delighted to assist you. Alternatively, please Ask The Watchmaker directly if you have a question about your pocket watch or a particular repair you require. Our very own Master Watchmaker has over 25 years’ experience repairing and restoring antique and vintage pocket watches to the highest level. We are one of the few jewellers in the UK to have our own Master Watchmaker. 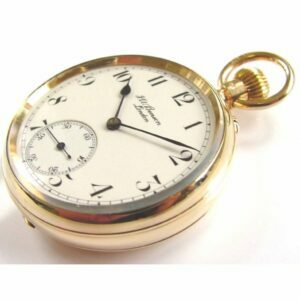 When you send your pocket watch to us for repair it is carried out in-house, rather than being sent away to a third party. Disassembling the intricate parts of a pocket watch, correcting positional errors and replacing parts requires an extraordinary amount of knowledge and expertise. With our Master Watchmaker you can be sure your pocket watch is in safe hands. 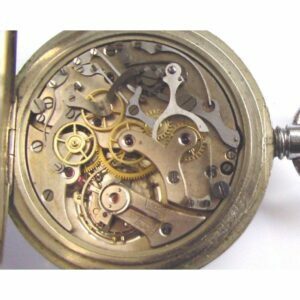 Whatever style of pocket watch you have, whether it’s a Hunter, Half-Hunter or open-face, we have the expertise to restore and refurbish the case and carry out any movement repair. 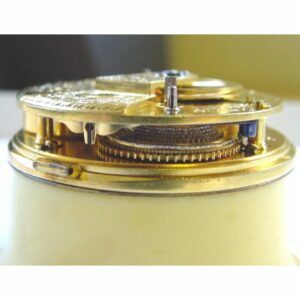 We are also experts in the repair of Swiss pocket watches. We are privileged to be working with one of the best dial restorers in the UK, so you can be confident that any dial restoration work is also carried out to an exceptionally high standard. We work hard to offer exceptional service to our customers, so we were delighted to be voted regional Independent Retailer of the Year. We also won Best Independent Fine Jeweller in the UK at the Professional Jeweller Awards. Our success continues into 2019, having just been awarded the FEEFO Gold Trusted Service Award 2019- which shows our ongoing commitment to providing the best service in the watch repair industry. 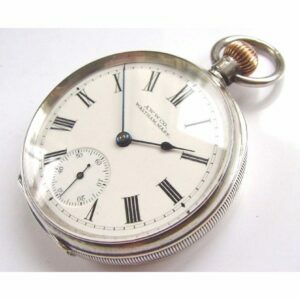 From the moment we receive your pocket watch we will take care of it. Our Master Watchmaker will carry out any repair or restoration work with the utmost sensitivity and expertise. We are confident you will be delighted with the results, but for peace of mind we offer a minimum 12 month guarantee for all work undertaken. You can ship your timepiece to us from anywhere in the UK using our Royal Mail Special Delivery FREEPOST service. Your pocket watch is insured for up to £20,000 throughout its postal journey, from the moment the package leaves your hand to when it is posted back to you. Before we carry out any repair work, we will discuss the estimated costs with you first.